Moises Sanchez was the 17th journalist* killed during the abbreviated term of Javier Duarte de Ochoa as Governor of the state of Veracruz. Duarte's term was abbreviated because he fled the county shortly before the end of his term to avoid Federal prosecution of charges related to corruption. DD Note: the asterisk after the number of journalist killed in the caption in the photo above is because the exact number of journalist murdered during Duarte's term depends on who was doing the count. The InSight Crime article below lists the number at 17 but because state records recorded some deaths (such as Moises Sanchez who was classified as a taxi driver and "activist") as just normal murders, a state crime, rather than the murder of a journalist which is a Federal Crime only showed 11 deaths of journalists. Sanchez accepted no advertising for his weekly newspaper La Union and drove a taxi to finance the publication of La Union. abducted Veracruz journalist found dead, the 11th during Duarte administration by Lucio R.
Two former police officers in Mexico’s most dangerous state for journalists have been convicted of murdering a newspaper owner, a rare sentence in a country where impunity reigns in nearly all cases of violence against journalists. Two former police officers for the municipality of Medellín de Bravo in Mexico’s southeastern state of Veracruz have been sentenced to 25 years in prison for the January 2015 murder of newspaper owner Moisés Sánchez, according to a recent press release from the Veracruz Attorney General’s Office. The ex-officers, identified as Luigui Heriberto “N” and José Francisco “N,” were found guilty of intentional homicide and breach of legal duty. In addition to being sentenced to 25 years in prison, the former cops were ordered to pay damages of 332,250 pesos ($18,200). Sánchez, who had received threats for his reporting on government corruption and violence as the owner of local newspaper La Unión, was taken from his home in early January 2015 and found decapitated and dismembered later that month. The day after Sánchez’s body was discovered, former police officer Clemente Noé Rodríguez Martínez confessed to killing the journalist on orders from Martín López Meneses, the deputy director of the municipal police force. Meneses had allegedly received instructions from the town’s mayor Omar Cruz Reyes. Rodríguez also identified five other former police officers he alleged were involved in the murder. The Committee to Protect Journalists has previously expressed concerns over “anomalies and delays” in the investigation, as well as the fact that key suspects have not been brought to justice. 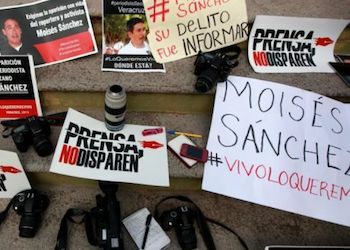 The recent sentencing of two former police officers in the case of Moisés Sánchez’s murder represents a small blow to the near total impunity for corrupt officials involved in violence against journalists in the country. Nonetheless, the progress made in this high-profile case remains the exception to the rule. Mexico has an astounding 99.6 percent impunity rate for crimes against journalists, likely fueled by the fact that government officials are often involved in the crimes. Veracruz earned the title of the most dangerous Mexican state for journalists during the 2010 to 2016 term of Governor Javier Duarte, which ended abruptly when Duarte fled in an attempt to avoid corruption charges. During Duarte’s time in office, 17 journalists were murdered and three were disappeared. Although Veracruz has the most protective measures in place for journalists of any state in Mexico, a climate of impunity and complicity of government officials has allowed for continued violence against journalists, including those under police protection. This article was republished from InSight Crime. DD Note; Jorge Sanchez follows in his fathers footsteps as an activist and publisher of "La Union". He speaks out about the conviction of the 2 policemen found guilty of intentional homicide and "breach of a legal dury" in the murder of his father. 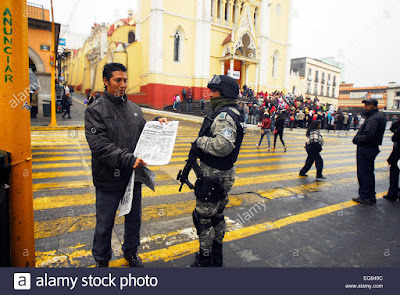 In a recent edition of La Union which he distributed by hand on the streets and which was subsequently published on the online news website Plumas Libre. Veracruz, Ver. In a statement issued by the Attorney General of the State of Veracruz , informs that by the action and presentation of conclusive evidence made by the FGE, Luigui Heriberto "N" and José Francisco "N", two former policemen of Medellín, They were prosecuted for the commission of the crimes of intentional homicide and non-compliance with a legal duty for the murder of Moisés Sánchez Cereso. WHERE IS OMAR CRUZ REYES, FORMER MAYOR OF MEDELLÍN? Who has an arrest warrant for his alleged intellectual authorship, is accused of having given the order to disappear and kill the journalist. WHAT HAPPENED WITH MENES, EX ESCOLTA OF THE MAYOR AND EX-DIRECTOR OF THE POLICE IN MEDELLÍN? Designated to be the link that Omar Cruz used to contact the criminal group, offering to grant them the Medellín plaza in exchange for disappearing Moisés. WHERE IS RAMÓN VELA, FORMER COMMANDER OF MEDELLÍN? Who protected the flight of the criminals by granting them almost two hours to escape; commander who protected Luis Ángel Brav or, at that time, the Prosecutor of Veracruz, and was even the only policeman who was not rooted in the crime. 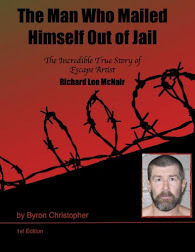 WHAT IS THE LEGAL SITUATION OF CLEMENTE NOÉ, CONFESSED MATERIAL AUTHOR? Processed for homicide and carrying a weapon exclusively for the Army, who revealed that Meneses was the contact by order of the mayor. WHERE ARE THE MOST OF SIX MATERIAL AUTHORS? At a snail's pace, for three years the investigations seem stalled, both in the State Attorney's Office and in the Special Prosecutor's Office for the Attention of Crimes Committed against Freedom of Expression (FEADLE), keeping the pact of impunity that tears families of the victims. Only 2 took the fall, while the heavy shot callers, are in hiding. They need to be tortured and see what it feels, when it was done on others. Viva mexico! Way to go! Outstanding. Off topic,but see El Gafe of CDN has been putting mantas in C Victoria threatening Notaries for dispossession of houses and lands.Remember El Gafe/CDN was supposedly arrested not long ago? The polticians 'sell' the plaza and make the REAL money. The cartels are foot soldiers and gun fudder and get the spoils. Corruption is the root cause, organized crime follows as a result! Just a dog and pony show...I'd be surprised if they got the right guys. All about upcoming elections. Even if they got the right guys, a judge will get bribed. We know what happens next, lol.